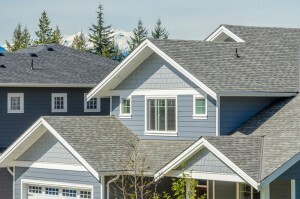 Since 1902, Crown Roofing has been the first choice for quality roofing in Vancouver. Thousands of homes across the city and throughout the region are protected by a Crown roof, providing peace of mind to our neighbors who know they are safe and secure in all weather conditions. Vancouver is home to some of the most beautiful neighborhoods in British Columbia and he have had the pleasure of replacing roofs on these classic homes in Kerrisdale, Point Grey, UBC, Dunbar, Kitsalano, Shaughnessy, Oakridge, Cambie, West End and West Side. Whether it is time to replace a failing roof with a new roofing system, or your roof is in need of repairs to restore its integrity, Crown Roofing can get the work done efficiently and effectively. We’ve earned our reputation as the top Vancouver roofers by delivering quality and value for three generations. 1. Quality Products – We use only brand name, top quality products and materials in all new roof installations and when making roof repairs. By never cutting corners with cheaper materials we ensure that you roof will provide reliable protection and lasting value for many years. 2. Professional Installation – Our experienced crews are constantly trained in the latest roofing “best practices” and safety processes. Over the years we have worked on every type of roof and met every roofing challenge. You can rest assured that your roof will be installed or repaired with utmost craftsmanship. industry-leading product warranties. Combined with our own workmanship guarantee, your roof is protected while it is protecting your home and family. 4. Ongoing Support – With more than 100 years of success behind us, you can count on Crown Roofing to be there when you need us.